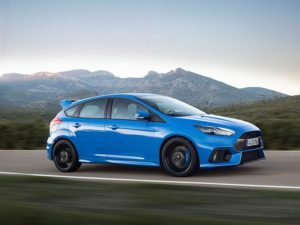 Migliaccio & Rathod LLP is investigating claims of head gasket failures in the engine of the 2016-17 Ford Focus RS. RS owners report misfires, a smell of coolant in the exhaust, loss of cabin heat, plumes of white smoke, and check engine lights turning on in as little as 3000 miles. When the head gasket fails, which in some cases leads to cracks in the cylinder block, coolant enters the combustion chamber of the engine that leads to coolant loss and potential damage to the internals of the engine. Promoted as a track-ready car, the Focus RS is the most expensive variant of Focus vehicles. Though Ford has replaced engines for vehicles under warranty, owners fear that engine problems will persist past the warranty period. The number of worldwide complaints, most noticeably in Germany and South Africa, coupled with the lack of a recall or warranty extension by Ford justifies consumers’ anxiety towards their vehicles. Ford has recognized the coolant leak that resulted in damaged engines and has authorized dealers to replace the cylinder head gasket. In light of this new development, Migliaccio & Rathod is closing its investigation into this matter. Has the Head Gasket Failed in Your Ford Focus RS? If your car has experienced any of the above symptoms reported by RS owners, we would like to speak with you. Complete the contact form on this page or give us a call at (202) 470-3520.